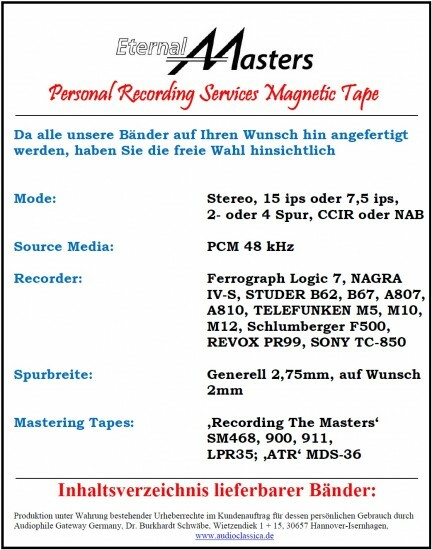 Welche Musik auch immer Sie mögen: Wir erstellen nach Ihren Wünschen mit professionellen Mitteln Ihr persönliches Mastertape. Der Kopiervorgang wird mit unseren perfekt restaurierten und sorgfältig eingemessen Bandmaschinen durchgeführt. Ihre EternalMasters-Bänder erhalten Sie auf darklab Metall- oder Kunststoffspulen. Diese werden grundsätzlich mit Vorspannband und gelbem Abspannband versehen. Genaue Titel- und Zeitangaben sind natürlich auf dem Rückenschild des Bandes vorhanden. Also in 2019 we are represented again on the Norddeutschen HiFi-Tage. We are look forward to see you there. For further information click here. From the 14th until 15th of September EternalArts look forward to meet you at the headphone exhibition in Krefeld. For more information click here. Once again EternalArts will be represented at the analog forum in Krefeld. The fair will take place in the Mercure Hotel Krefeld from the 2nd to the 3rd of November 2019. We look forward to your visit at our booth. More information can be found here. EternalArts uses its brand name to revitalize high-quality concepts of the past that were not fully appreciated at the time or have since been discontinued. These older designs are rejuvenated using the latest technology, equipped with high-grade, modern components and marketed throughout the world. 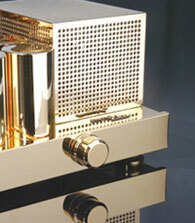 The first product in the EternalArts line was the OTL tube amplifier, based on a design by Julius Futterman. 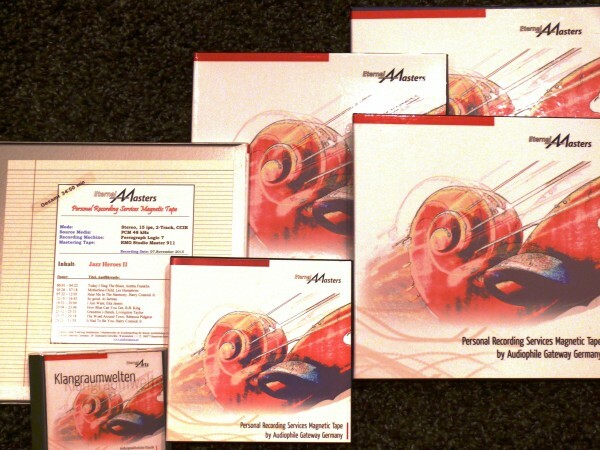 This was produced as a limited edition in 2004 and is now extremely difficult to obtain. 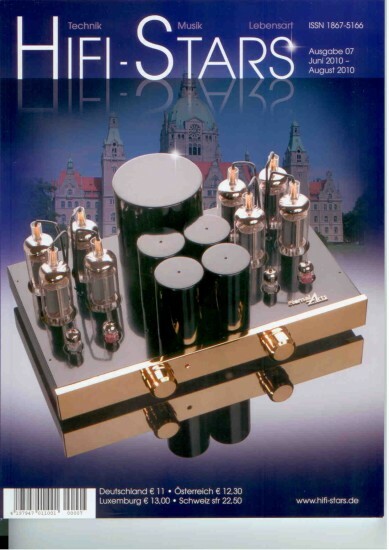 The years from 2004 to 2008 saw the construction of triode amplifiers with the famous AD1, 300B, 2A3, 45 and 50 triodes. Produced in limited series or as one-off products, these amplifiers revived the charm of these historic tubes. In order to properly evaluate these tube amplifiers, a high efficiency speaker was also developed, equipped with the famous Saba chassis from the 1950s. At the High End 2008 in Munich, the largest trade fair of its kind in Europe, EternalArts was able to proudly present a completely revamped version (Mk II) of its superb OTL amplifier in a modern look. The next products in the program appeared in 2009, and other outstanding components continue to be added to the line right up to the present day. The FTP extends the EternalArts series by a modern version of a classical Stereo preamplifier, which is completely based on tubes. It combines versatile equipment and modern ease of use with exquisite tube sound. Thanks to its design and tonal capabilities, it sets a new benchmark for preamplifiers with tube technology and it will make history. A full-featured premium class preamplifier, operating totally on vacuum tube technology– refined through up-to-date technology and manufacturing. Designed with two high quality, variable phono-input-stages as reference to Vinyl-Enthusiasts.The possibility to adjust these for nearly every pick-up system by altering their input impedance and their input capacity is especially interesting for vinyl listeners. Julius Futterman´s cicuitry is as ingenius as simple: the speakers are directly connected without an output transformer. Consequently, the impulsivity is considerably higher and the reproduction of the wave form of the musical signals is more accurate. A circuitry without an output transformer has the advantage of lower and upper threshold frequencies because no limitations through winding capacitance and leakage inductance of the transformer become operative. Following the tradition of the amplifier line of the great Julius Futterman, the new EternalArts OTL Mono Blocs succeeded his famous models on the occasion of the High End 2009 in Munich. 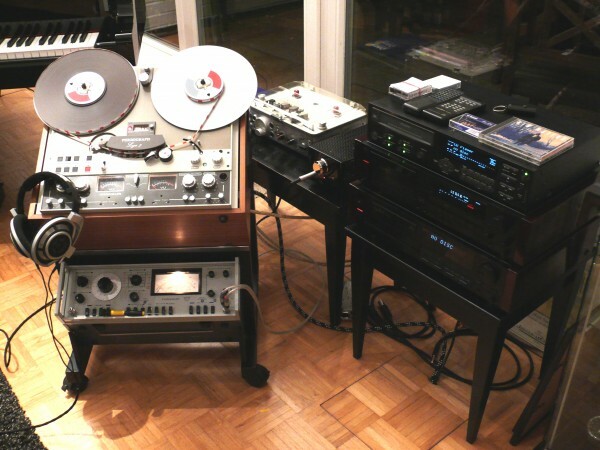 Julius Futterman named his very powerful mono amplifiers H-3aa. The EternalArts mono blocs are the forceful upgrade of the proven, highly stable and effective advancement of the EternalArts OTL circuitry variation. After several real life tests of the OTL Mk II, in which two OTL Stereo-amplifiers were configurated in parallel, we could discover the same sonic virtues for which the Mk II is praised. As entry stage and driver have been powerful enough to also feed the main amplifier section with eight beam power tetrodes, the monos were designed with the same technical elements and parts used in the OTL Mk II. They now round up the line for higher demand for power output. Die von EternalArts enwickelte Stereo-Endstufe PAS ,magic eye' eignet sich für alle musikalischen Lebenslagen. 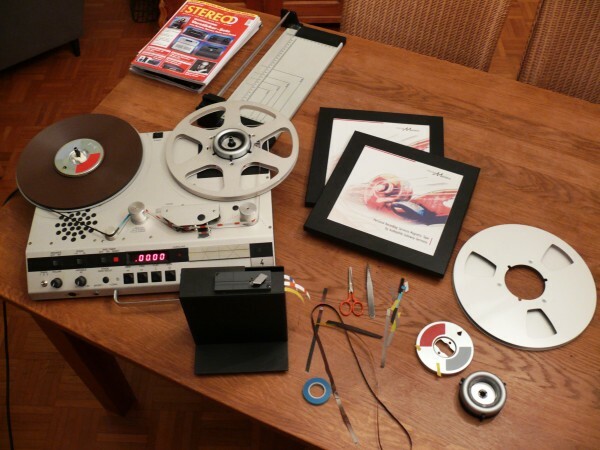 Es handelt sich um eine klassische diskret aufgebaute Transistor-Endstufe in Doppel-Mono-Aufbau mit abschaltbarer Aussteuerungsanzeige über ,magische Fächer'. Just as a transformer-less (OTL) tube amplifier comes closest to the goal of having a wide open dynamic, accurate music reproduction, a loudspeaker cabinet that does not influence the sound has proved a stubborn challenge for both, loudspeaker designers and audiophiles. EternalArts has, in collaboration with the renowned loudspeaker manufacturer 'ECOUTON Audiolabor' newly interpreted the principle of an open system in a compact 3-way dipole loudspeaker. The result is a 16 ohms fullrange dipole with dimensions of 125,5 x 37 x 26 cm. In its impressive piano black laquered finish, it must be one of the most compact grand loudspeaker systems available and with its high impedance, it is an ideal partner for our OTL amplifiers and of course for any other high quality tube amplifier. As a combination of a digital tuner stage for the DVB satellite system and the finest tube technology, EternalArts presents a DVB-S satellite tuner with tube output stage. The result is an extraordinary tuner, which from now on represents the ultimate of radio reception. Listening to radio in its highest evolutionary step. The most modern and sophisticated Tuner concept in combination with a fine cathode follower tube output stage after classic pattern. Never before radio has been that versatile and fascinating. 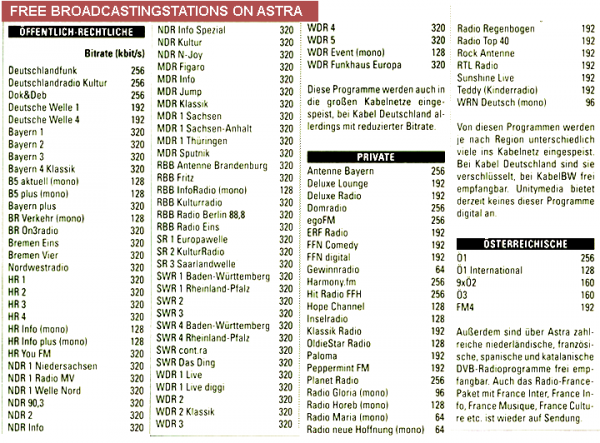 The ARD alone transmit about 60 channels to a transponder of the satellite ASTRA, which can be received with 338kBits/s and 48 kHz sampling frequency. With the Eternal Arts Digital Tuner DT, Sample Rate Converter and the D/A Converter are inertia divergent. The extraordinary sound of the tube output stage refines the high quality radio program. Combined with the most modern ease of use: All functions are accessible via the infrared remote control. Or you could control every function with the single button on the device. 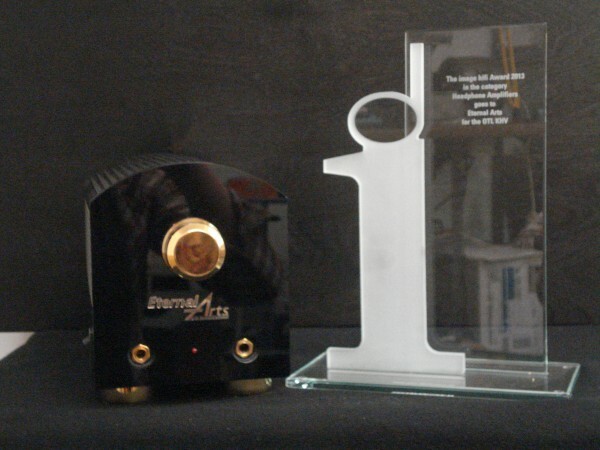 The EternalArts OTL headphone amplifiers are the application of the brilliant Futterman-idea on a tube amplifier for headphones of highest quality. The compact amplifier module is designed to connect two high-impedance HiFi-headphones. The board works with its electronic components inside the two-piece powder-coated sheet steel housing with high gloss black acrylic front, gold, nickel or rubber feet and a volume knob made of solid metal or acrylic. The amplifier family - KHV, "basic line" and "professional" - was developed and optimized on the high-end headphones HD800 by SENNHEISER. After the first tests with a variety of low-impedance headphones it appeared that with a tiny modification an equally outstanding interaction with other types was given. Consequently a new board was designed for the unmodified circuit, which received a small switch with the optimal setting for low-and high-impedance headphones to be made ​​from the outside. You recognize the new board by the blue EPCOS film capacitors in the cathode outlet. The circuit design is the "basic line" with a total of 2 and the KHV and "professional" is designed with 4 tubes: 2 triode pentode at the "basic line" and in addition 2 stabilizer tubes for KHV and "professional" for gain-independent stable anode voltages of the amplifier tubes. As with the other OTL amplifiers of the house also a board-supported design with gold-plated tracks laminated on both sides of 70μ was selected. Along comes a grouted TRANSTEC voltage transformer used in toroidal winding and protection technology with Mu-metal shielding. Only high quality matched components, including a classic RUWIDO-Poti in cast aluminum housing (first series) and the legendary blue ALPS potentiometer were used. Gold-plated headphone jacks and gold-plated Neutrik RCA jacks complete the equipment. The circuit is absolutely secure and stable for maximum safety and very high tube life. All in all, a phenomenal transmission bandwidth and pulse sequence was reached. 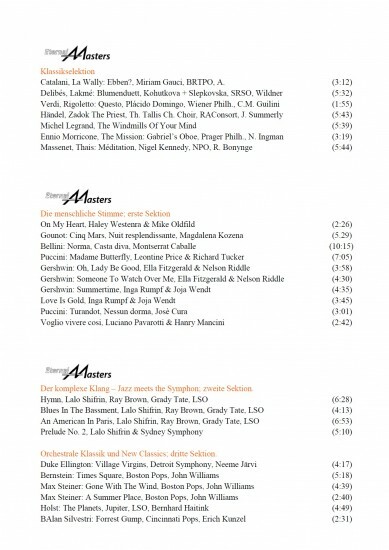 Der EternalArts Tube Digital Player DP ist ein High-End-CD-Player in Kombination mit einer hochwertigen Röhrenausgangsstufe nach klassischem Vorbild. Er verfügt über einen hochwertigen Sample Rate Converter und einen D/A-Wandler von Burr Brown. Dieser Multibit D/A-Wandler 24 bit 192 kHz gestattet eine Vielzahl von Auflösungen und Wandlerraten. Ein genial einfaches Bedienkonzept ist durch Ein-Knopf-Bedienung am Gerät und eine IR-Fernbedienung gegeben. Nach dem vielbeachteten Futterman-OTL Mk II, der auf der High End 2008 sein Debüt gab, folgten nach und nach weitere Röhren-basierte Komponenten – kraftvolle OTL-Monoblöcke, ein außergewöhnlicher Vorverstärker für den Vinyl-Enthusiasten, ein CD-Player mit Röhrenausgangsstufe sowie der wohl einzige Rundfunkempfänger der Welt nach dem DVB-S-Standard und mit Röhrenausgangsstufe. Es folgte zur High End 2010 ein außergewöhnlicher Dipol-Lautsprecher, der sogleich in die absolute Spitzenklasse des Weltmarktangebots einrückte. Der Trend zum „Personal Audio“ führte dann im Jahr darauf bei EternalArts zu drei High-End Kopfhörerverstärkermodellen in OTL Technik, konzipiert für höchstwertige Kopfhörer. Alle Modelle wurden ebenfalls einhellig von der Fachpresse in die absolute Spitzenklasse des Angebots eingereiht. Um nun auch den naheliegenden Wunsch zu erfüllen, mit einem Kopfhörerverstärker gleichzeitig eine hochwertige audiophile Vorstufe zur Verfügung zu haben, wurde ein neues Produkt entwickelt: der EternalArts HLP. Es handelt sich bei dem kompakten Baustein um eine High Level Vorstufe mit drei Eingängen, die auf Basis der Schaltung des Kopfhörerverstärkers entstand. Sie profitiert somit von dem genialen Grundkonzept einer Spannungsstabilisierung, das in den 1940er Jahren von Neumann für die Speisung von Kondensatormikrofonen vorgestellt wurde. Der besondere Entwicklungsaufwand zu dieser puristischen Hochpegel-Vorstufe lag nun in dem Umstand, dass an beide Betriebsarten – Kopfhörerverstärkung und Signalvorverstärkung für eine Endstufe – andere Anforderungen gestellt werden. Im einen Falle Stromlieferant, um Wandlersysteme zu treiben, im anderen, um Spannung zur Ansteuerung von Endstufen zu liefern. Durch eine ausgeklügelte Umschaltung wird der neue EternalArts HLP beiden Aufgaben perfekt gerecht und lässt in beiden ein Klangbild von überragender Ruhe, Farbenpracht und Detailfreude entstehen. Die EternalArts Kombination einer High-End-Vorstufe mit Kopfhörer-verstärker überträgt die geniale Futterman-Idee eines übertragerlosen Röhrenverstärkers auf eine kompakte puristische High-End-Schalt-zentrale für alle Arten von Endstufen und Aktiv-Monitore.